New model runs are in, with some changes to talk about. One, the track has shifted slightly to the south. Now, this track will continue to bounce around slightly until we get closer to the main event. The map you see is the best prediction we have at the moment. With a split flow in place over the southern Rockies, we may be in for quite the storm. It will really depend on how organized the systems energy can get before becoming a full mid-latitude cyclone somewhere near Chicago or northern Indiana. Models have struggled with this feature significantly. With that in mind...total amounts are also up in the air, with some models saying 5-8" while others put down near a foot of snow, with enhancement in eastern Wisconsin of Lake Michigan. The storm is just making it onshore now on the Pacific Coast, so we should be able to get better data by tomorrow. Our weather computer models will have all the data they need to settle in on a solution in the next couple days. 2) How much will thunderstorms in the south take away from our moisture, or will they rotate into the cold air and really get that snow to add up quickly? 3) The track continues to waffle, which will have MAJOR effects on who sees the heavy snow band and who sees the rain. 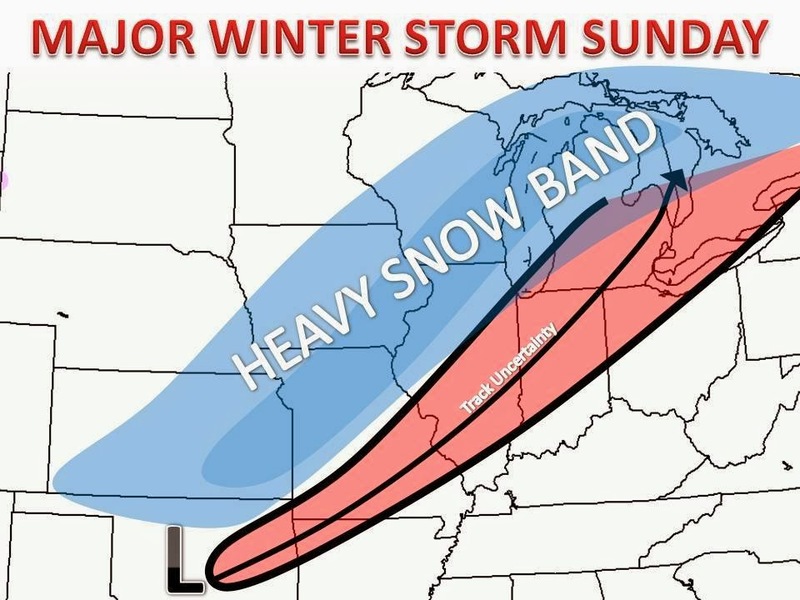 For example, Chicago could easily be all rain, or could see 8" of snow. We will know much more in the next 12-36 hours!